If you’ve never been to the Works Museum, next Saturday would be a great time to go. If you HAVE been to the Works Museum then you know how fun it is. It’s one our favorite places to go for indoor fun. They have so many great hands-on learning stations and activities and it’s the type of place where adults can have just as much fun as the kids. Saturday February 9th, is Tech Fest – A Family Engineering & Technology Fair. It’s officially their biggest Tech Fest ever with 24 presenters, including a full-sized solar car from the U of M’s racing team! Hours are from 9-4. If you pre-register in advance, there’s a discount on admission. ** The family membership is an awesome deal if you live close enough. With just a couple of visits it pays for itself. 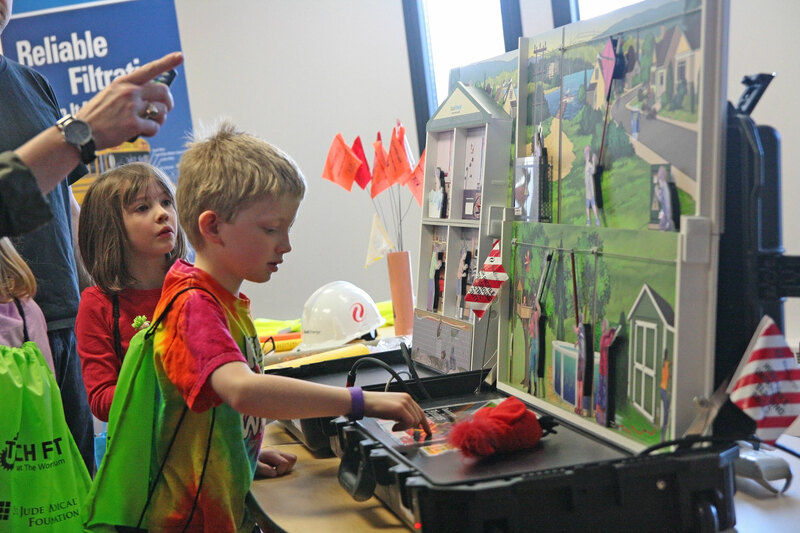 Tech Fest lets families experience engineering and technology together. many ways engineering impacts our world,” says Jill Measells, CEO of The Works Museum. What: Tech Fest, The Works Museum’s annual family event celebrating engineering. When: Saturday, February 9, 9 a.m. – 4 p.m. Cost: $9 pre-registered (through 2/7/19); $12 at the door. Free for members. ABOUT THE WORKS MUSEUM. 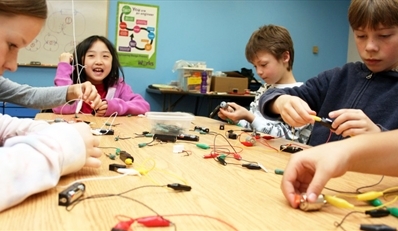 The Works Museum is all about hands-on engineering for kids. admission, membership, and camp information, visit www.theworks.org.